What nutrients your body is deficient without testing? How do you know when you no longer need the supplements you picked out for your body ‘s deficiencies with out testing? The answer is… YOU DON’T!!! Most people simply listen to their favorite Author/Lecturer and buy whatever their pushing while having no idea if their body needs it. This is both a waste of money and time. Why not find out what your body is lacking BEFORE you purchase your supplements!? This insures you purchase only the supplements your body needs. It also insures that you’ll know when you no longer need your supplements. All this is done for a minimal fee in the privacy of your own home, we call it …”Health through the Mail”. EJUVA will remove toxicity but what about the other key factor in obtaining health, your nutritional deficiencies? If you would like to know what vitamins and minerals, etc your body is deficient in then the Health Through the Mail program is for you! 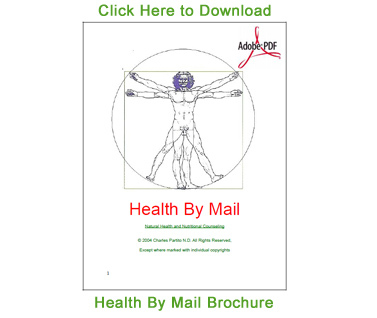 “I highly recommend the “Health Through the Mail Program!” Its both highly accurate and highly effective in helping the body to heal itself of almost all types aliments. When you purchase a vitamin/mineral or any supplement product from your raw source do you really know what you are getting? Is it really going to satisfy your body’s needs? How do you know what your body’s needs are? Or, did you waste your money, will it pass through mostly unabsorbed? Worse then that, did the the supplement cost more on your body then it gave? As a Dr. I believe Its imperative to know your patients/clients medical history, to know their goals of health, which of their health issues concern them the most, their height and weight, their age, family history, Blood Pressure, what they normally eat, which meds/supplements they are on, if they own a juicer, how well they sleep, how often they have a bowel movement, their symptoms, bone health, menstrual cycles, mental history, how well they digest, how well they assimilate, nutritional levels, kidney/liver function, which foods types their body doesn’t handle well, do they have a Candida overgrowth, Parasites, Heavy Metal Poisoning, Glandular functionality, Allergies, etc, etc. All pertinent info in putting together a program that will work for them. How a raw leader can stand up on stage and proclaim he/she knows what your body’s needs are, without a drop of information amazes me. And, low and behold it just so happens they sell the very supplement/s they say your body needs. In addition our to our old test the “new and approved” Health by Mail program is testing for Candida, Parasites, Heavy Metals, Allergies, Infections, Gland and Organ scans including Uterus, Testis, Prostate, Heart, Large Bowel, Ovaries, Spleen, Gallbladder, Liver/ Kidney, Lymph, Eyes, Skin, Arteries/veins, Nervous System, Vitamin D, Iodine, the “forgotten” vitamin K, Vitamin A, Iron, Magnesium, Vitamin K, all trace minerals, amongst other important tests. All extremely accurate, all done in one test, all from the privacy of your own home. If you decide to partake in the recommended supplements (if any) they are delivered right to your door. Along with all your test results, a book of recommendations that includes your program, step by step cleansing instructions, step by step juicing instructions, grocery lists, a dietary program custom tailored to meet your body’s needs, and so much more. Why is this important? Taking supplements (even if raw) you don’t need, costs your body in nutrients, taking the “wrong type” costs your body too, taking supplements after your deficiency is filled also costs your body. All of which ends you up with less nutrients then before you wasted your money on the supplements. Facts that your favorite “mad scientists” rarely, in fact never, mention on stage, or in their books. Taking supplements from those that are LITERALLY guessing at what you need, is like wearing a blindfold, walking up to their shelves and just start randomly pulling things off their shelves. Literally hoping, praying you are getting the right thing for your body, and then guessing when you no longer need it. It’s NOT the best policy for acquiring true health, and usually places you in a worse position then before you started, both financially and physically. If you’re REALLY interested in your health, and I believe you are, then Test!!! I mean REALLY want the best for your body. Make sure the one testing you has your COMPLETE history, and not just your credit card number! Test every few months, testing should be as prominent in your budget as is groceries, and clothing. EJUVA has just such a test called Health by Mail that was put together by both me and the best of best who luckily happens to be my teacher and mentor. We have used this test on literally tens of thousands of people with amazing results and now its improved. This testing averages out to about 90.00 per month if done regularly (every 3 months). Regular testing is not a requirement, but recommended as your nutritional values are constantly changing. Between your cleansing’s test and replenish your nutritional bank accounts properly. 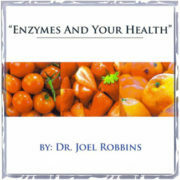 Cleanse twice a year, test 3 or 4 times per year, for several years and both see and feel the difference in your body. You’ll see it not only in the mirror but in black and white, meaning your test results too. 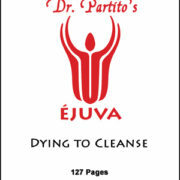 When Ejuva took off several years ago I would receive emails from around the World regarding health issues. I felt it my duty to answer those questions correctly. After much research I stumbled across my teacher and mentor. I knew of the big names in raw food, and have a DEEP respect for these raw doctors. Brilliant people like Dr Clement, Dr. Bishi, Dr. Cousins, Dr. Mercola to name a few. But, in my opinion only, my teacher and mentor is head and shoulders above all of them COMBINED. As a result, the knowledge I have been privileged to learn both in my own practice, culminated with my teachers over 30 years of clinical research, I absolutely love to share with my patients/clients which is also a part of the Health by Mail program! One of the first things I learned is that you cannot properly answer peoples questions, properly make the calls on their supplement needs without knowing the above. It’s simply impossible. Testing, not guessing is required for accurate information. Your choices are to guess, test, or consume no supplementation. 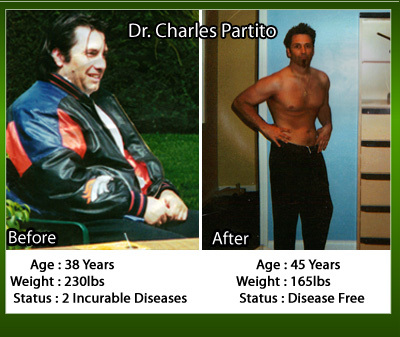 I have been working with Dr. Partito for over seven months now, and I am happy to report increased energy levels, a decrease in the severity of my hypoglycemia-it is on it’s way out-and diminished deficiencies…not to mention the 45 pounds I lost! I am eternally grateful to him for helping me with my son as well. He discovered that Benjamin had severe calcium and vitamin c deficiencies which we are now correcting. Dr. Partito recently received some press coverage because of his work assisting an AIDS patient in ridding himself of AIDS. 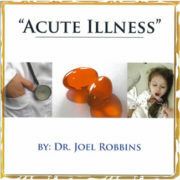 He has also had success helping patients cure themselves of everything from asthma to allergies to cancer. 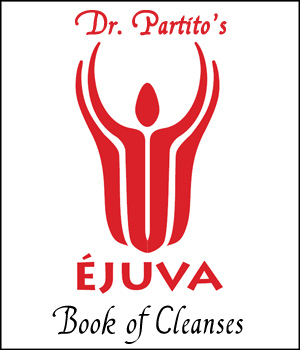 Charles is the owner of Ejuva, the best intestinal cleanse on the planet! This email is regarding a client named Parash. Parash is (was) a Diabetic virtually his whole life, his father succumbed to the disease. Not only is (was) Diabetes an issue, he had high Blood Pressure, high Cholesterol and a whole slue of other ailments, his prognosis was not good using traditional treatment as his father chose to use. In less than 1 month he’s no longer a diabetic, he longer needs his meds for high blood pressure and we will be checking his cholesterol shortly, that too will be normal before I’m done with him guaranteed!!!! Below is his email to me. I just wanted to give you a quick update on the first week of my 7×7. 1. Since last couple of days, I am feeling better, except the fact that the pressure in the forehead is still there as it is but the feeling of something in the chest area has significantly gone down. 2. Feel like I am not tired that much. 3. The blood pressure is less than 120/80. I am taking a capsule of Naicin every day. 4. The heart rate is down to its’ 80s and 90s. No medication is taken. 5. The fasting blood sugar is in 90s. No medication is taken. I am so excited to move in to the second part of the 7×7. As per the schedule, I will be in juice diet for a week and then modified juice for another week before I start the recommended diet. When will you be able to send me the supplements? Please don’t forget to send me the tube for the 2nd urine analysis and send the box using my Fed Ex account. Hope you had a good Thanksgiving. I just wanted to let you know that I never received any of the supplements. I am completely out of everything. My lump is just about gone. It is smaller than a tiny pea. It originally was the size of a Kiwi. I will speak with you on Monday, however, I really don’t have any questions. I downloaded the recipes from Elaina’s website and my friend gave me a juicing for life book as well as a vegetarian cookbook that she published. Little by little I am working toward becoming 80% Raw. At the age of 68 I was diagnosed with Diverticulitis, a disease affecting the large bowel. Almost everything I ate I vomited back up. I was forced to wear adult diapers as I lost control of my bowels. I was bed ridden for nearly a year. When I tried to get out of bed I would fall to the floor because the pain was so intense. My doctor (at the time) would give me shots and pills that temporarily relieved my symptoms but they always came back, usually worse then before. I was in such pain most the time that I literally wanted to die. Then one day I was told if I tried this “Natural Healing” that Dr. Partito recommends that my body would in fact heal itself. I thought it to be “hocus pocus” but with nothing to lose I thought I’d give it a try. 10 days later I no longer vomited, or needed diapers. I could walk with almost no pain. Now at age 70 my diverticulitis is completely cured! I now work out a few times a week at the gym; I do yoga and Pilates as well. 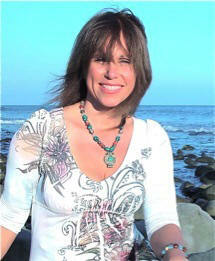 I know Natural Healing saved my life; I really did become younger as I grew older!